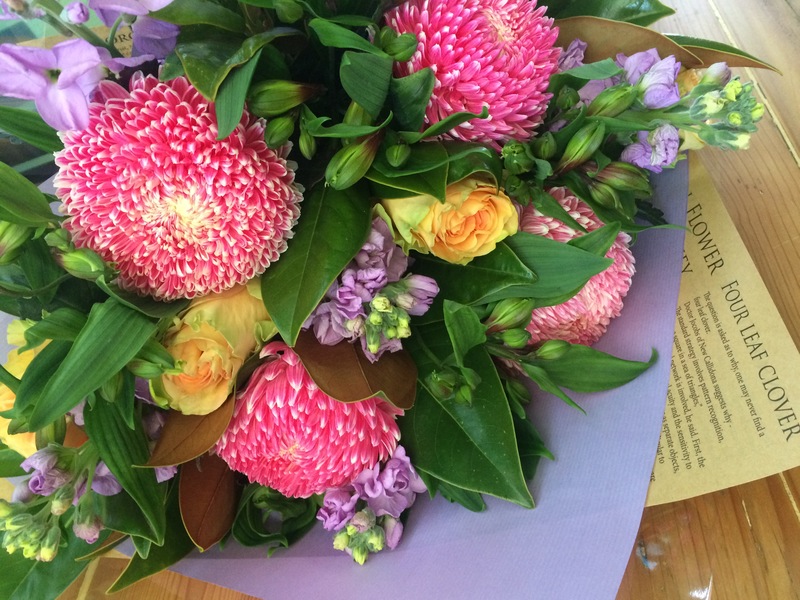 A bright and cheery bouquet great for birthdays and wrapped with bold colours to enhance the bunch! The name says it all, appropriate for many occasions. A rustic blend of foliage, blooms, texture and colours. 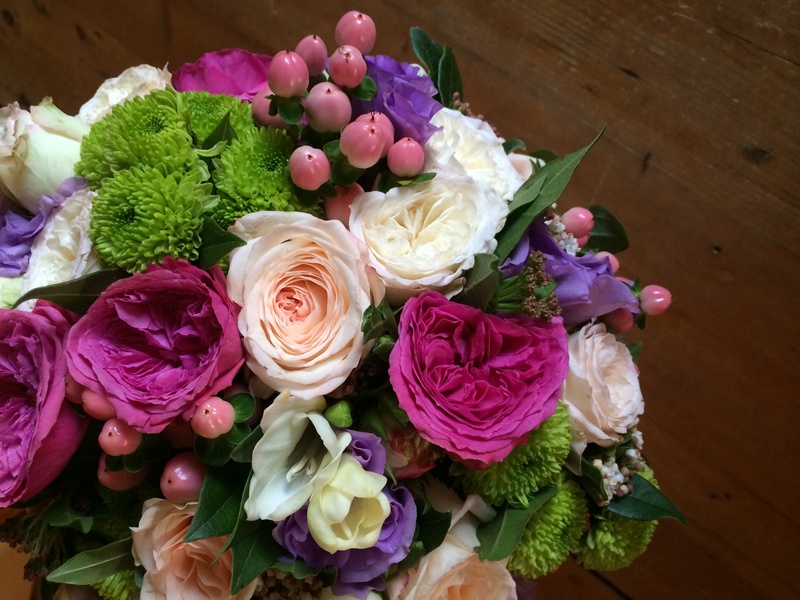 A lovely little bunch with zesty colours. This is the longest lasting bouquet around. We blend interesting pods, leaves and buds. Think tall, bold, long lasting and of course that unforgettable smell. 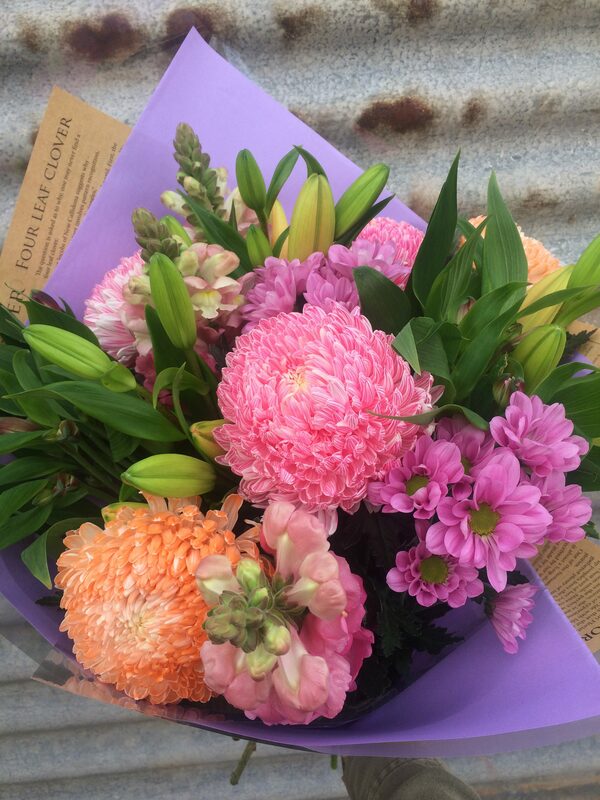 A blend of quality seasonal blooms with a modern twist. This is the best value bouquet around for those who love to play with flowers. This bunch is made up of freshly cut stems that are giftwrapped for your recipient to arrange themselves. Gathered tropicals and interesting foliages all giftwrapped for a large bold statement. All bunch lines are listed at the minimum price sizes available. We can make these bouquets as large as you would like!